ALEXANDRIA, Egypt — Libya's Parliament speaker in the east said Wednesday no peace deal can be reached right now between rival factions in his country because the capital, Tripoli, has been "kidnapped" by armed groups. Aguila Saleh, speaker of the Tobruk-based House of Representatives, told The Associated Press in the Egyptian city of Alexandria that the self-styled Libyan National Army led by Khalifa Hifter has stepped in to "liberate" Tripoli. Hours later, U.N. Secretary-General Antonio Guterres called for a cease-fire, saying there is still time "to avoid the worst which would be a dramatic bloody battle for Tripoli." The U.N. chief, who visited Libya on Friday, said after briefing the Security Council behind closed doors that the situation is "very dangerous" and stressed that there is no military solution. "It is very clear for me that we need to restart a serious political dialogue and a serious political negotiation, but it is obvious that that cannot take place without fully stop of the hostilities," Guterres said. Germany's U.N. ambassador, Christoph Heusgen, the current Security Council president, said the secretary-general's call for a cease-fire "was echoed" by council members who also urged talks and a return to the political track. 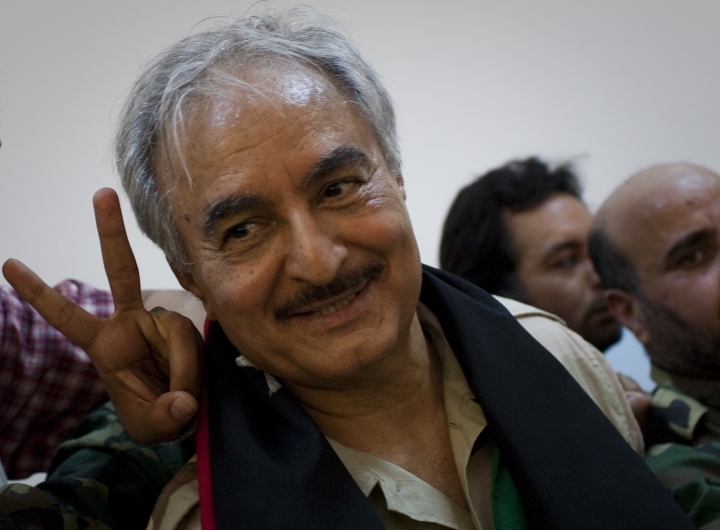 Hifter's Libyan National Army forces launched a major military offensive earlier this month aimed at capturing Tripoli, clashing with rival militias that support the U.N.-backed government there. "The capital has been kidnapped.... the military (LNA) has stepped in with only one goal, which is to root such groups out of the capital," Parliament speaker Saleh said. He said it would be impossible to hold next week's U.N.-planned peace conference, given the current conditions. U.N. envoy Ghasan Salame announced Tuesday that the National Conference scheduled for April 14-16 is being postponed because it can't be held "against the backdrop of artillery bombardment and air raids." Germany's Heusgen said Security Council members expressed concern at the plight of displaced people and refugees, the humanitarian situation, and the need to respect human rights.